Eda Rhyne Distillery - NC Distilling History You Can Taste! 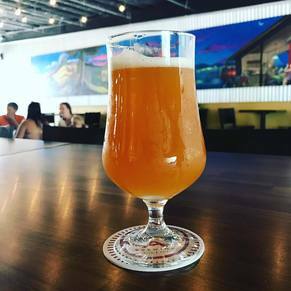 Brew masters have studied generations of North Carolina spirit making traditions and translated what they’ve learned into a modern-day distillery, producing small batches of distinctive brews. If you have ever wondered what North Carolina tastes like, this is your opportunity to find out. 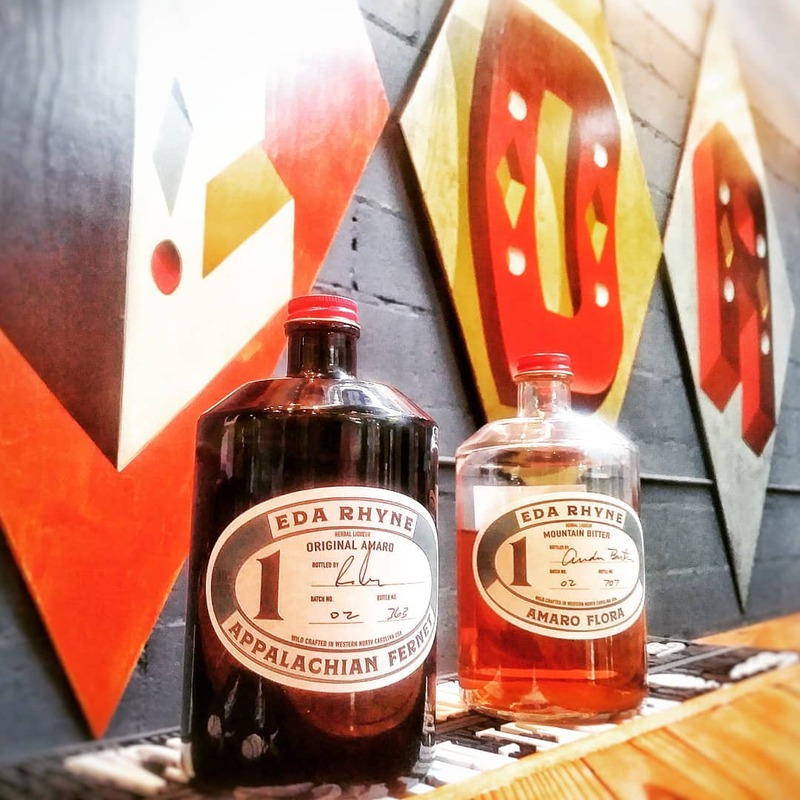 Steeped in history, brewed with respect for Appalachian traditions, Eda Rhyne Distillery provides a one-of-a-kind experience. 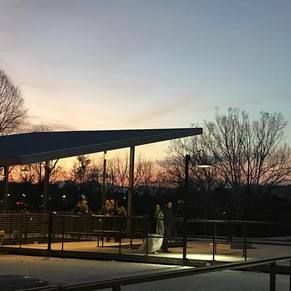 It’s impossible to discuss Eda Rhyne Distillery without mentioning how rooted distilling is in North Carolina history. For generations, there has been an air of romance and mystery surrounding the mountain people who dedicated their lives (and risked their freedom) to brew spirits. Most of the exciting stories concern the illicit production of whiskey by poor mountain folks, but there is an awful lot about how those mountain folks made their brews that is worthy of respect. 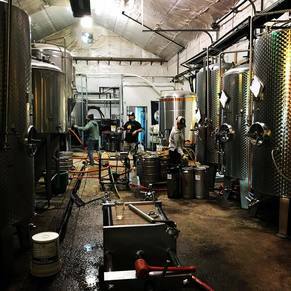 Once called the “ancient art of the hills,” making spirits has never simply been about running from authorities or raking in quick cash, but has always been a point of pride for those who immersed themselves in the brewing process. The mountains of North Carolina are home to more than 2,500 species of plants, 1,100 of which are known to have medicinal properties. 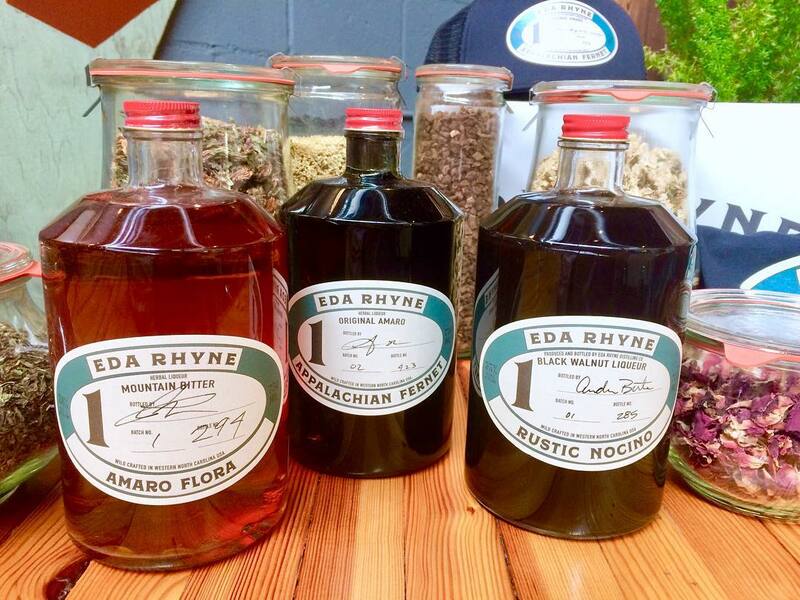 While it’s easy to wonder what medicinal plants have to do with alcoholic drinks, Eda Rhyne Distillery extracts the healing properties of those plants to create truly unique herbal liqueurs and fine spirits. Don’t be fooled by the Plain Jane exterior of the distillery. 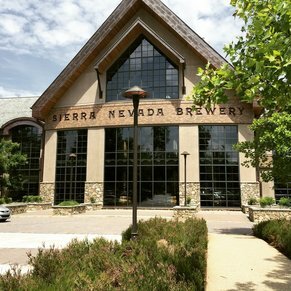 There’s an awful lot of artisanal brewing going on in the light-filled, 5,000 square foot interior. Like an old-school distillery, the shelves are lined with Mason jars filled with ingredients like dried flowers and juniper berries. 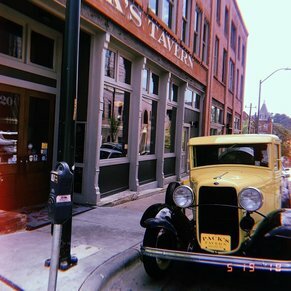 Business partners, including Chris Bower and Rett Murphy, set out to create a distillery that is uniquely Western North Carolina, to produce brews distinct enough to be identified by a single sip. 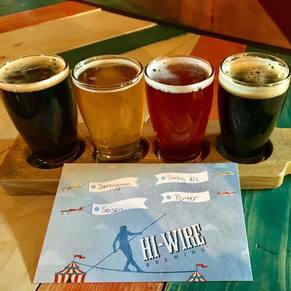 In order to achieve that goal, they have infused their brews with heirloom grains and corn as well as a variety of medicinals and botanicals found in the region. 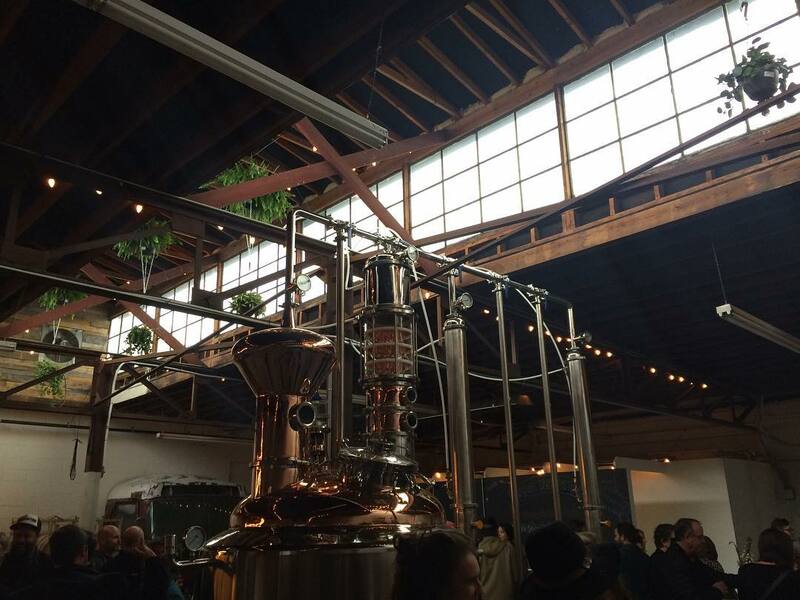 A tour will offer you a behind-the-scenes look at the subtle art of distillation. 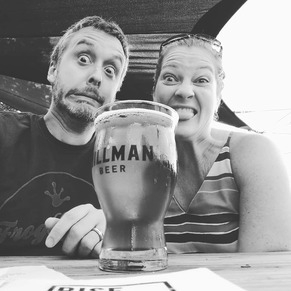 Not only will you learn the A to Z production process, but you will also have the opportunity to taste brews unlike anything you have tried before. The distillery prides itself on using only responsibly harvested organic botanicals (some grown on Rett Murphy’s farm) and others wild crafted from the mountains around Asheville. They also work to minimize their environmental impact by recycling their water and thermal heat and reusing solid organic waste as fertilizer. In short, they’re bringing an age-old process into the 21st century. Served after meals to help with digestion, the Appalachian Fernet is infused with an array of well-blended spices and aromatic herbs found in the region. Described as tasting like “the mountains” this is a drink you will not want to miss. Referred to as a “mountain bitter,” Amaro Flora offers a delicate hint of wildflowers and bark. So complex, it is precisely the type of bottle you will want to share with friends — if only to hear several takes on it. It’s the subtle taste of black walnuts – gathered from Murphy’s Yancey County farm – this give this liqueur its distinct personality. You may find yourself thinking of ways you can mix it with other drinks, warm or cold. 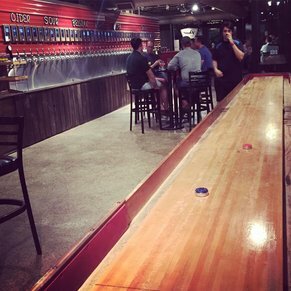 -If you have a large group or are hosting a special event, call ahead to set up a private tour. -Ask your guide about the folk remedy properties of each sample and don’t be embarrassed to take notes. 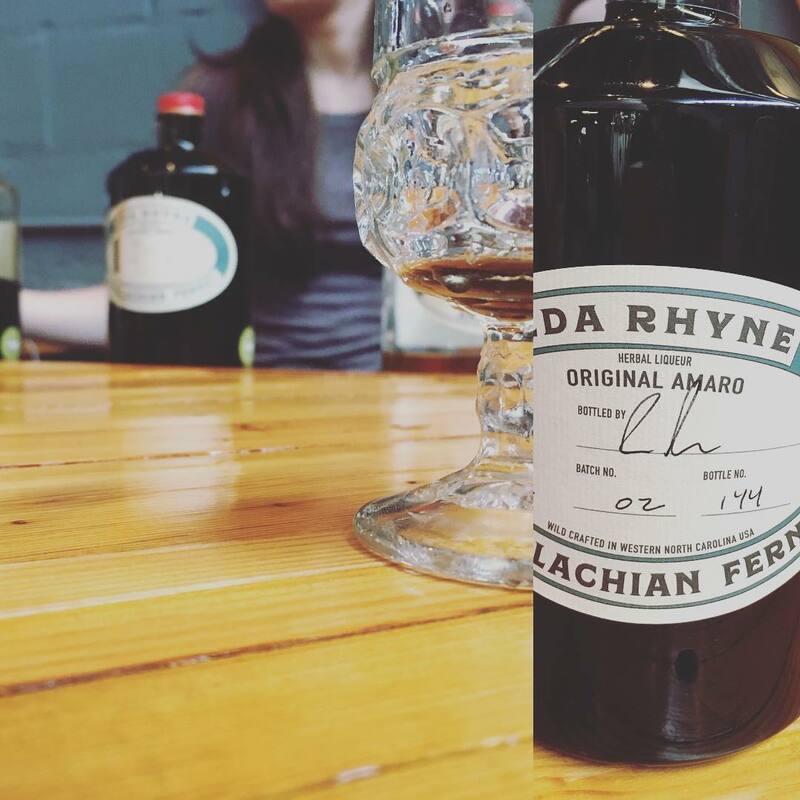 -Eda Rhyne Distillery is currently working on cocktail recipe cards – unique drinks that can be made using their spirits — so ask about them if interested.